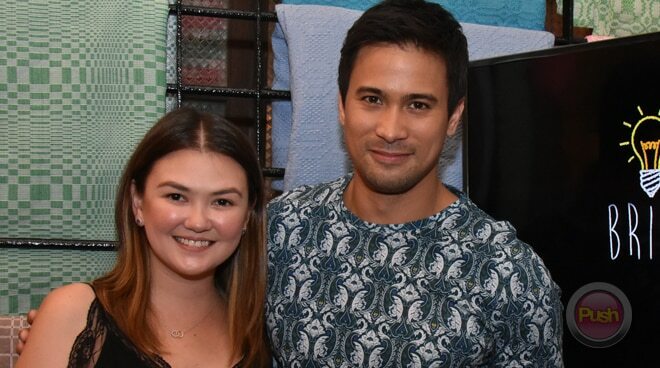 Sam Milby says Angelica Panganiban made their 'Malaya' scenes "really kilig"
Sam Milby shares his experience as a producer and an actor of the Malaya music video. Sam Milby remarked that working with his friends for the music video Malaya has been such a breeze. Aside from being the actor, Sam is the co-producer of the said video as he is also part of the new production house called Bright Bulb Productions, teaming up with Angelica Panganiban and John Prats. “Sobrang light, its a hugot song and hopefully you will feel the song with the way we did the music video but when we were actually on the set, sobrang light, parang enjoy, siyempre we are all friends. And we did it pretty fast. I thought that with all the shots we were planning on doing matatapos ng 4 or 5am. We started 9am we finished 10pm so mablilis and we have extra shots pa that we didnt get to use,” he stated. Sam is co-starring with Angelica Panganiban in the video. He remarked that the actress really helped produce the kilig in the video. “I think siya yung life ng music video shoot, siya yung nagbibigay ng lightness din kasi well sa love story namin sa music video parang nakakakilig, I think. And I think I give that to Angelica, the way she was able to make those scenes really kilig, but in terms with work, its not my first time that we worked together, we did one one show lang sobrang tagal na,” he stated. Likewise, Sam also worked on the editing of the video. “[Angelica is] really making kwento and concepts, ako kasi doon sa more behind the scenes after the shoot, si John sa directing. Pagdating sa techy stuff sa editing and I am going to learn color grading din,” he relayed.